Who can believe school is over in just weeks?? NOT ME! AGAIN this year……SODA POP WALK! 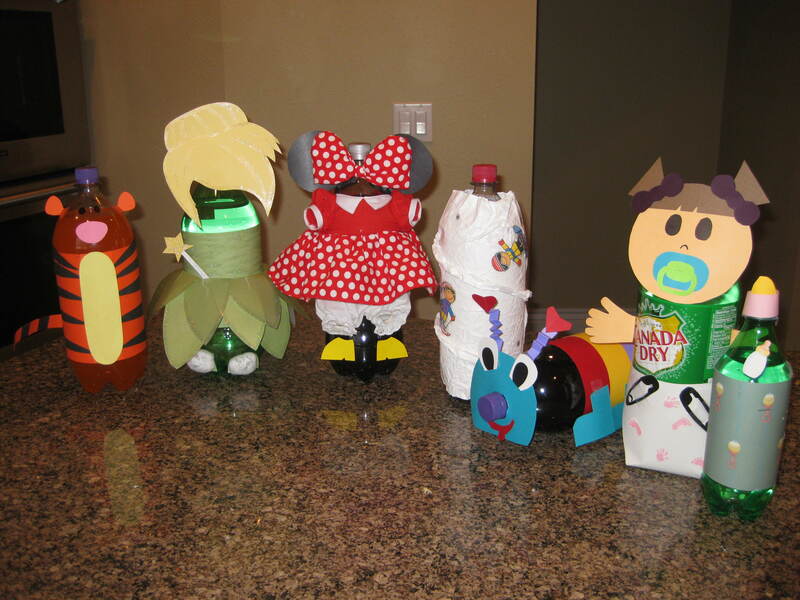 your family can decorate and bring in as many soda bottles as they want! the more we have the more fun our soda walk will be! so grab your family and start designing! after seeing so many creative valentine’s boxes at manila, i know we’ll have some amazing soda bottles! Parents, next time you’re at the store, grab a few 2 liter sodas. Keep them full and sealed. Then let your kids decorate them however they want. As you can see the skys the limit! (animals, star wars, teachers, robots, etc) You can decorate and donate as many 2 liters as you like. if you end up covering up the entire soda bottle, please write the name of the soda somewhere on the bottle, so we can separate them the night of the festival. we want winners to be able to choose the soda not only based on the decoration but also the soda itself! Students may bring in soda bottles all week long starting Monday, March 14th, where they will be stored in the classrooms until the night of the festival. Soda Pop Walk will go from 4:30 – 5:30. tickets will be .50 each and it plays out like a cake walk/musical chairs. kids walk around on numbers and when the music stops we call a number. the person standing on the number called is the winner and gets to choose a 2 liter to take home and enjoy! -All Week is the BOOK FAIR! Please check the school for exact times. -9th & 10th – SEP’s. 4-7:30. Please sign up on school website. -11th – Mom & Me…please join your student before school begins for book reading and breakfast. Track A 7:30, Track B 8:40. The book fair will also be open during this time. Penny Wars are going on now! I think my kids have taken every coin out of our house. Send all your pennies, plus the other coins to “bomb” the other classes. I love how the kids get into these penny wars. What a great way to give to another country! The last day for penny wars will be Monday, February 7th! So make sure you get your pennies in.